Our ability to work with virtually any medium lends us perfectly to the alternative energy industry and its requirements for a variety of matierals. We have entertained projects from our clients from machining bearing blocks for sun trackers, to cutting, assembling, and welding the stators for wind turbines. 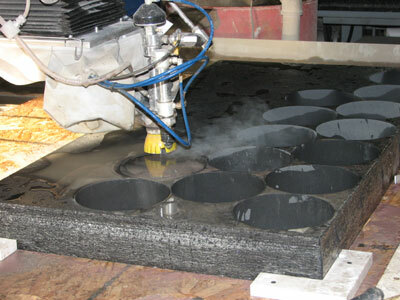 Our clients also enjoy the green manufacturing that our waterjets provide.